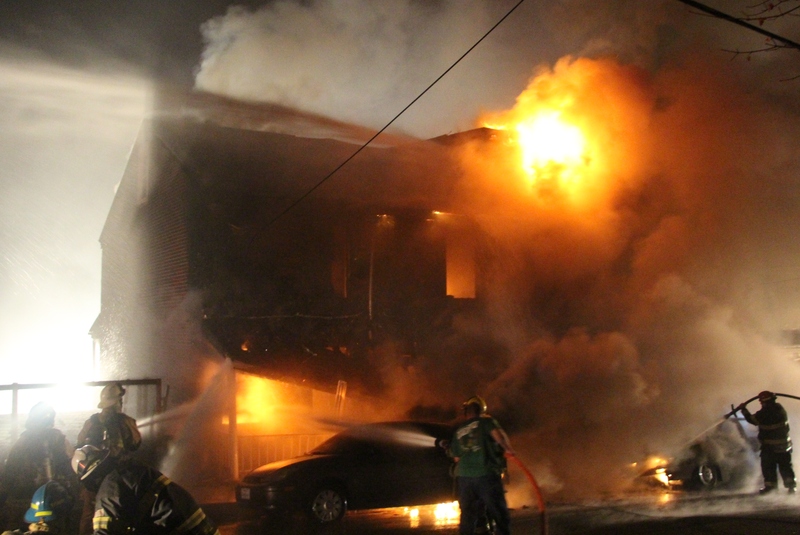 An online fundraiser was started by the Tamaqua Volunteers group to help the three victims who lost their homes, vehicles and all their belongings during a terrible row home fire last night on Orwigsburg Street in Tamaqua. Victims were Rozanne Brazyno and James Heffelfinger of 131 Orwigsburg Street, and Matthew Oliver of 129 Orwigsburg Street. To donate online, go to https://www.youcaring.com/Tamaqua-Orwigsburg-St-Fire-Fund-Nov-21-2015-Donate. Donations can also be given at any Wells Fargo bank branch office by mentioning that you want to donate to “Tamaqua Orwigsburg Street Fire Victims Fund”. Monetary donations or gift cards can be dropped off or mailed at the Tamaqua Salvation Army, 105 West Broad Street, Tamaqua PA 18252. Checks must be made out to “Tamaqua Orwigsburg Street Fire Victims Fund”. For more information on how to help, call the Tamaqua Volunteers group at 570-668-1234. Click HERE to view the story, with photos and video.